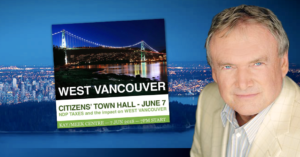 A prominent Vancouver realtor is walking back his public statement declaring that “the NDP should be shot” during an event protesting a tax on high-end properties that will help cover the costs of seismic upgrades for British Columbia schools. Realtor Allen Angell spoke at a West Vancouver town hall last week organized by an anonymous group of “concerned citizens” and hosted by the city’s former mayor to discuss the 0.2% tax increase on real estate priced between $3 and $4 million and 0.4% on properties valued above $4 million. “We’re losing money galore,” Angell continued. Ma stressed that her “staff, volunteers and the public” should never question their safety while in the community office of an elected public official. “My joke about being shot was used by the media as serious,” Angell told PressProgress, explaining his hyperbole was in reaction to dropping prices in Vancouver’s luxury real estate market. Yet it seems most British Columbians disagree with luxury realtors on the issue of taxing multi-million dollar homes to fund schools – a recent poll discovered that despite vocal opposition from wealthy homeowners, fully two-thirds of British Columbians support the 0.2% tax on high-end properties. 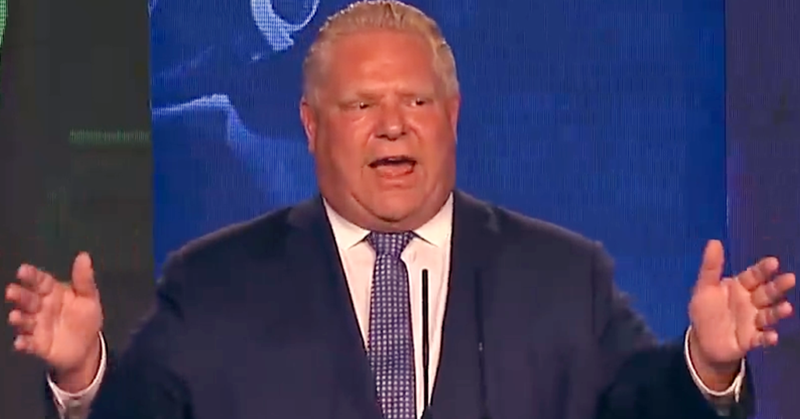 The CCF is a right-wing organization that is currently bankrolling a constitutional challenge against Canada’s universal public healthcare system. 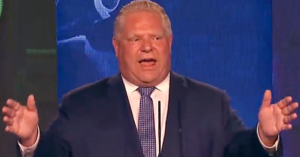 Ontario’s religious right is “jubilant” about their new ally in the Premier’s Office – and now they’re counting on Doug Ford to deliver on his promises and execute their radical social conservative agenda.